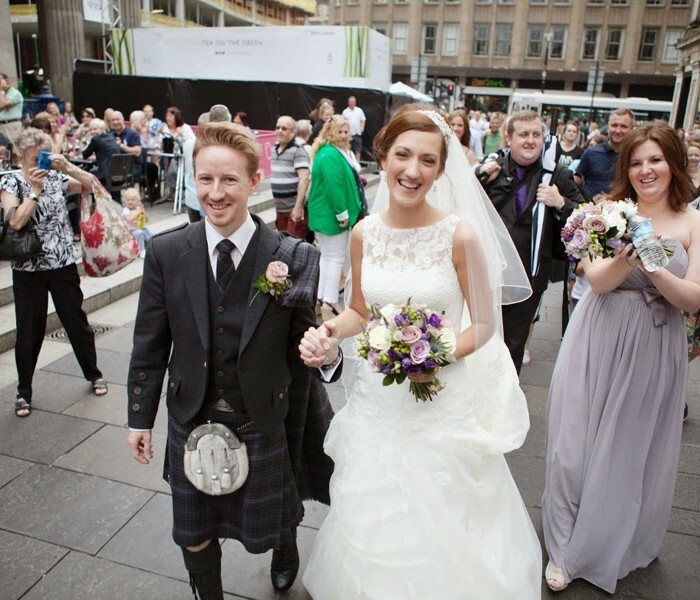 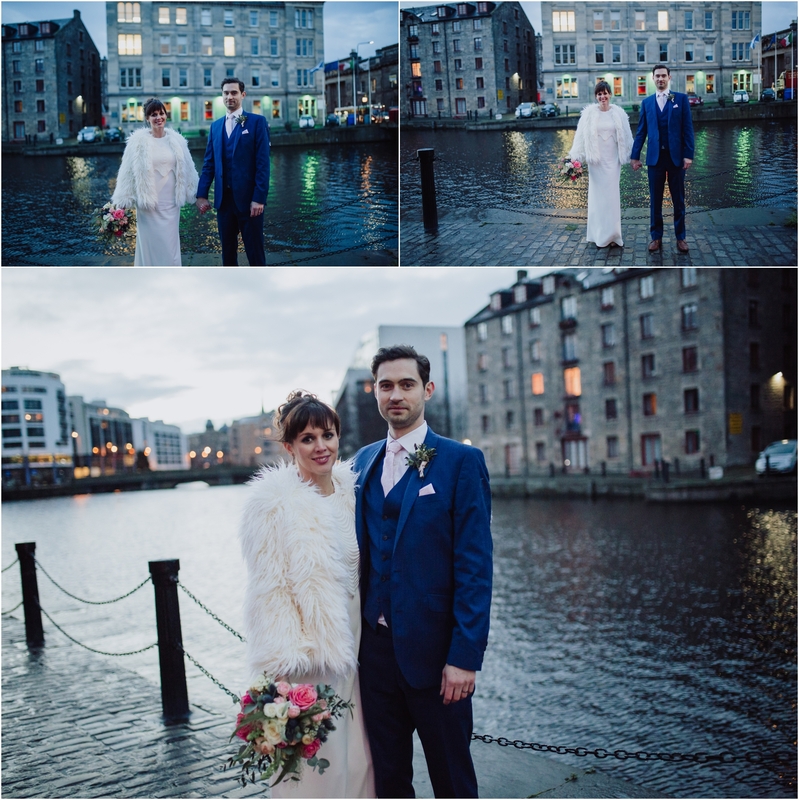 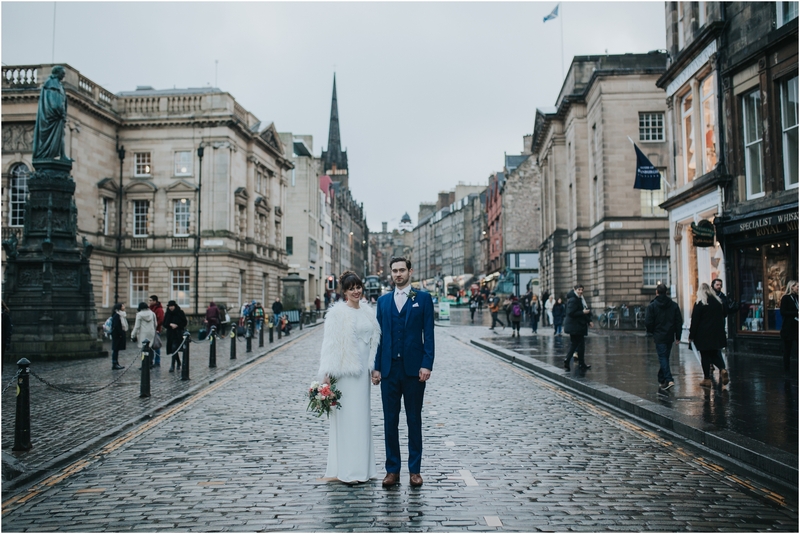 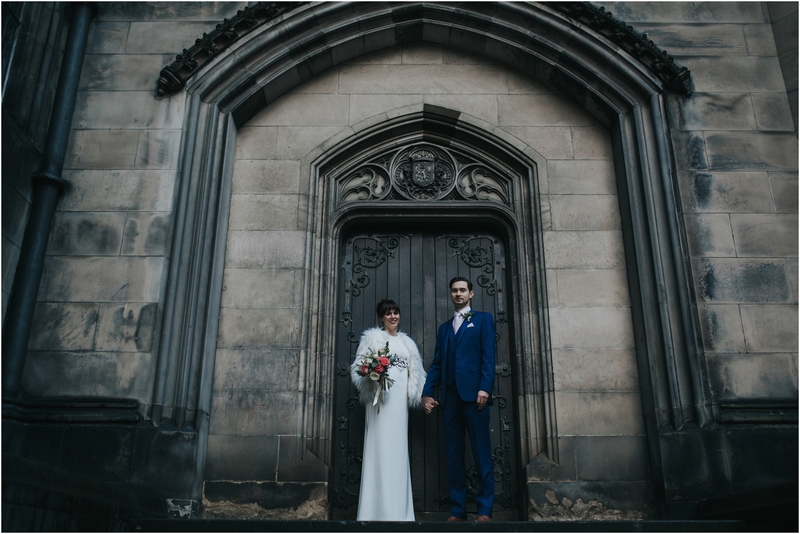 Hannah and Thomas made the best of the stunning cityscapes of the Royal Mile and Leith. 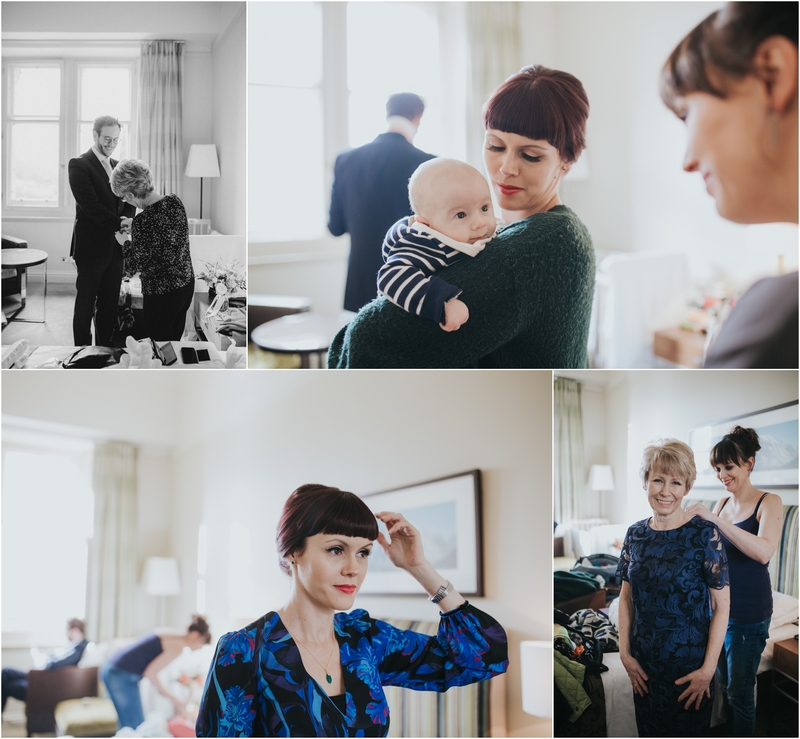 Hannah got ready at The Balmoral with hair and makeup by City Brides. 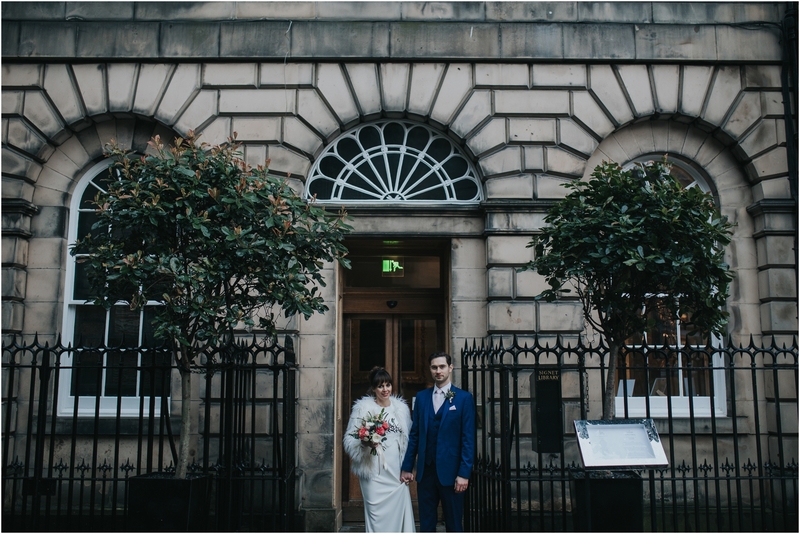 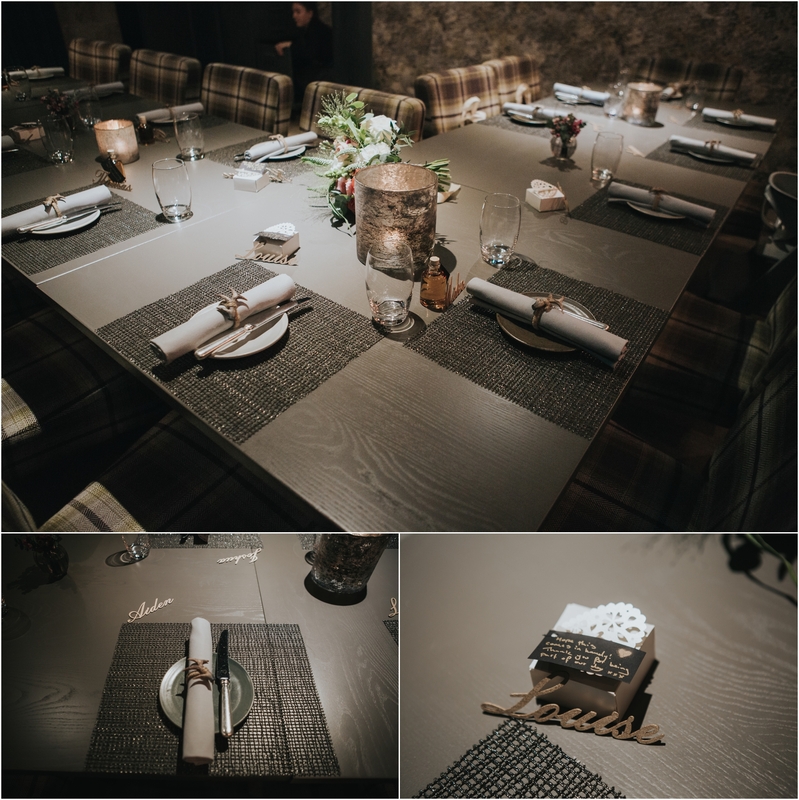 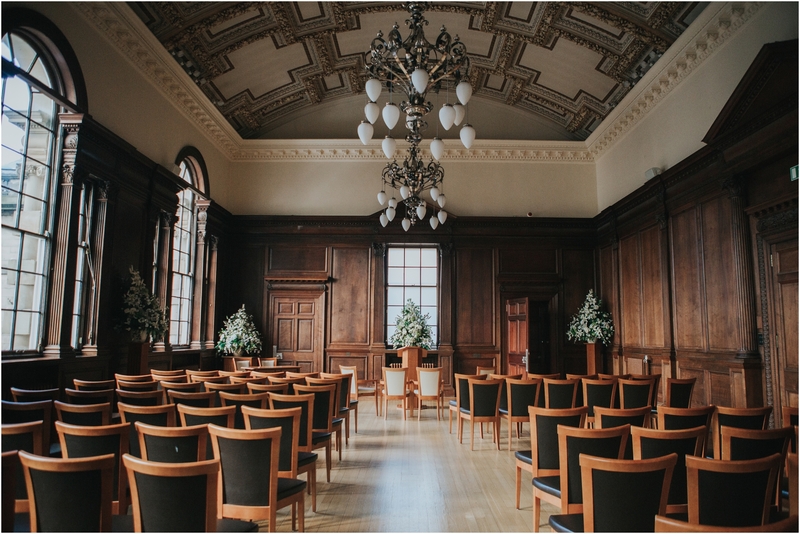 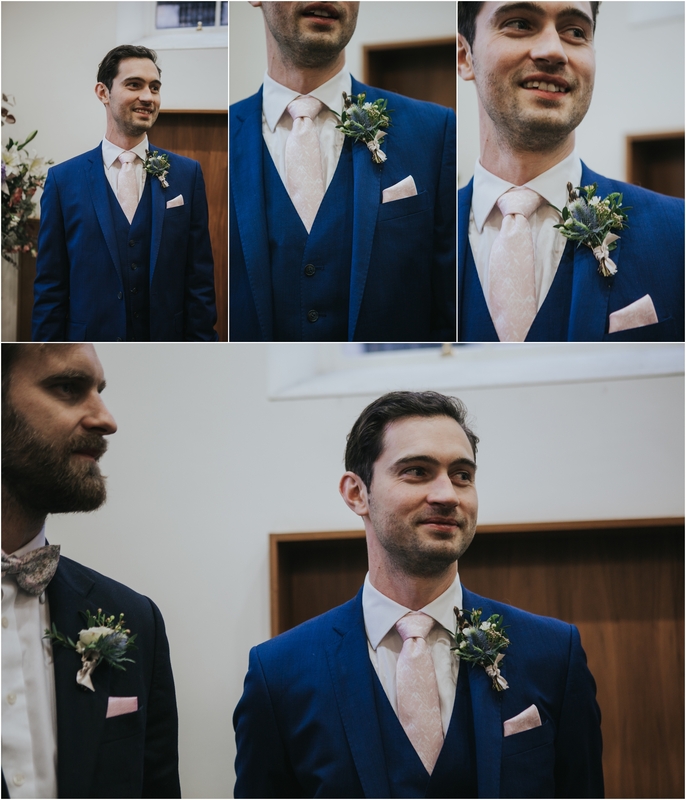 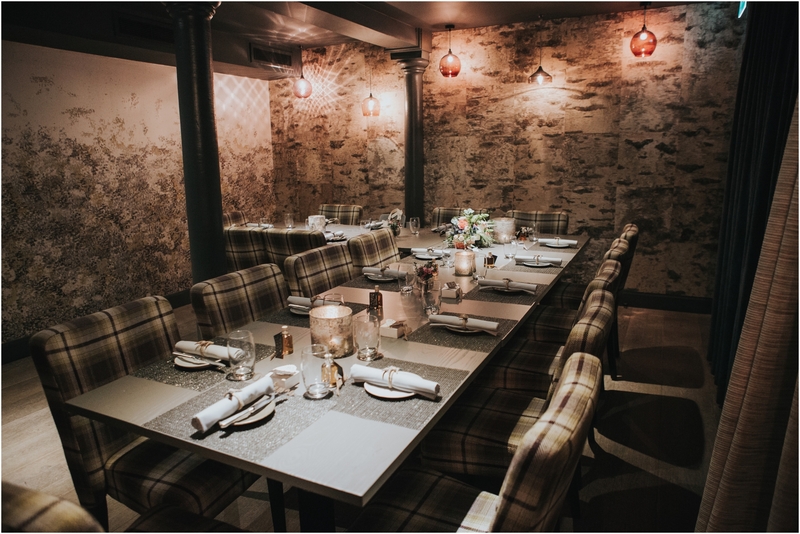 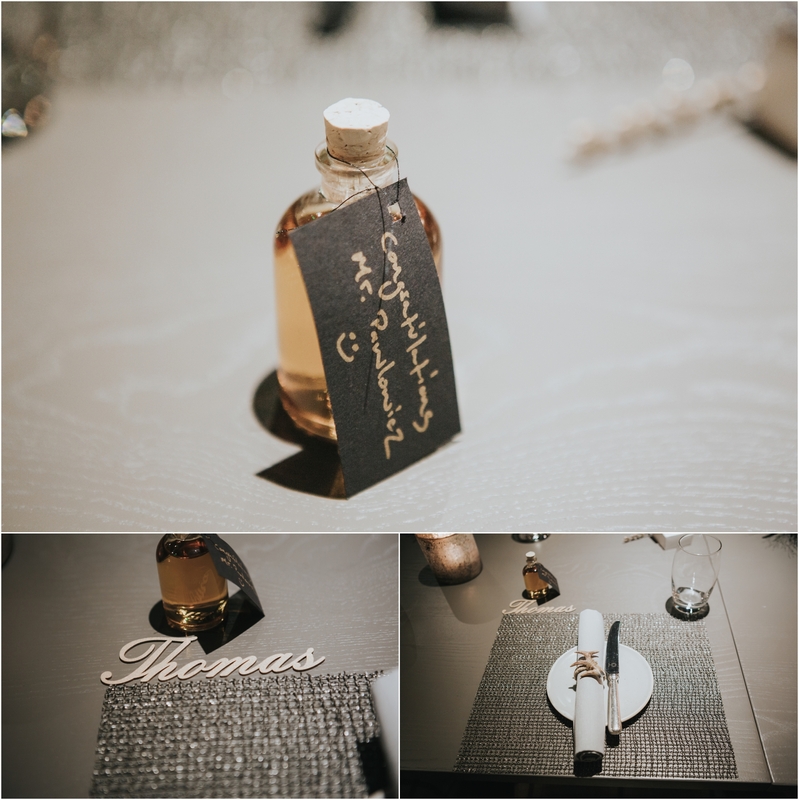 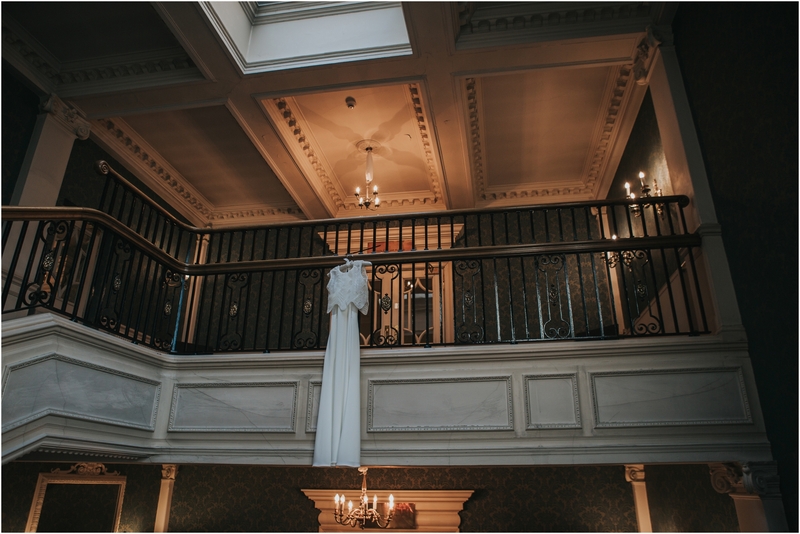 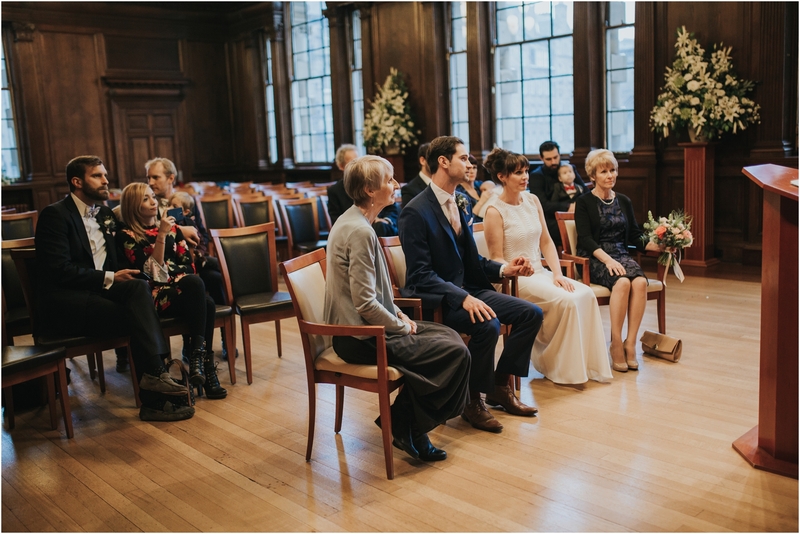 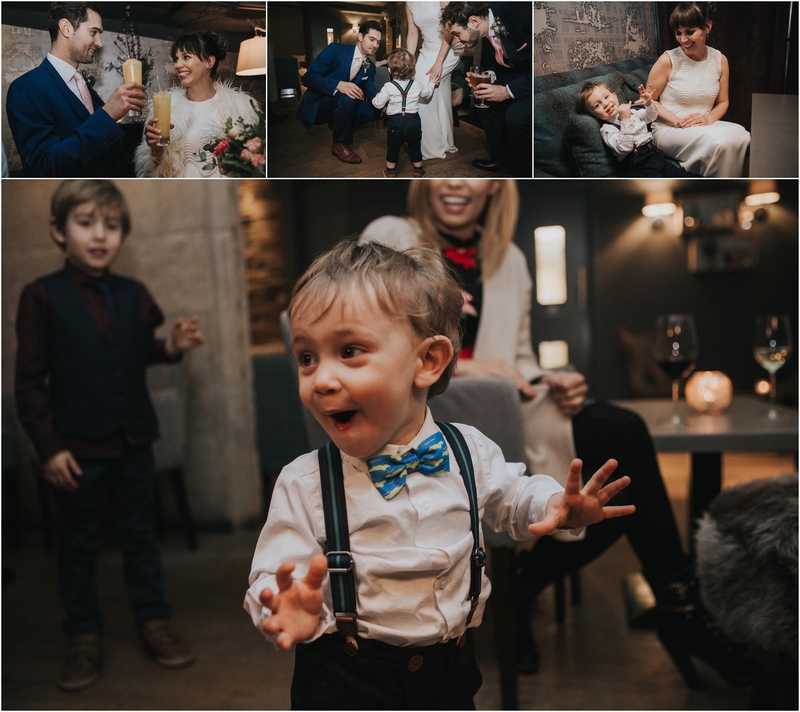 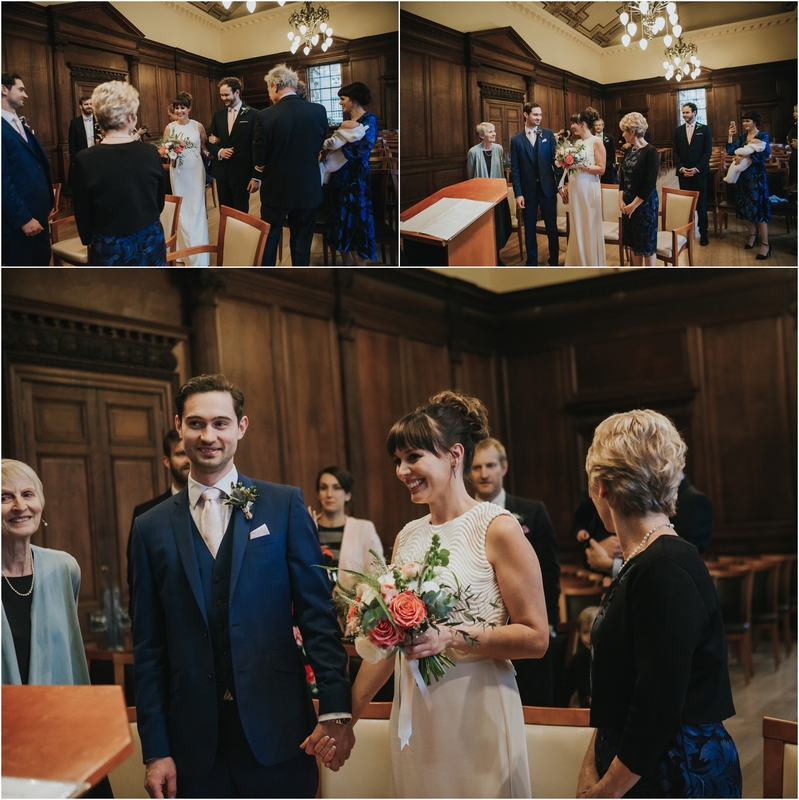 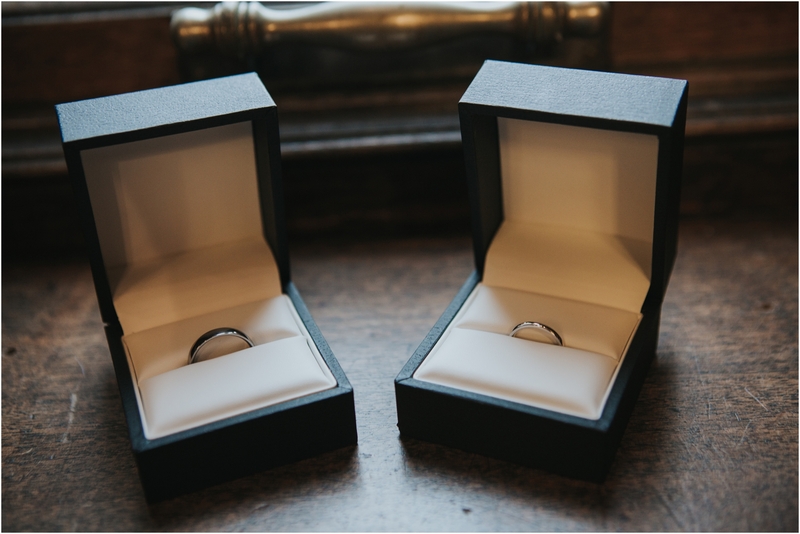 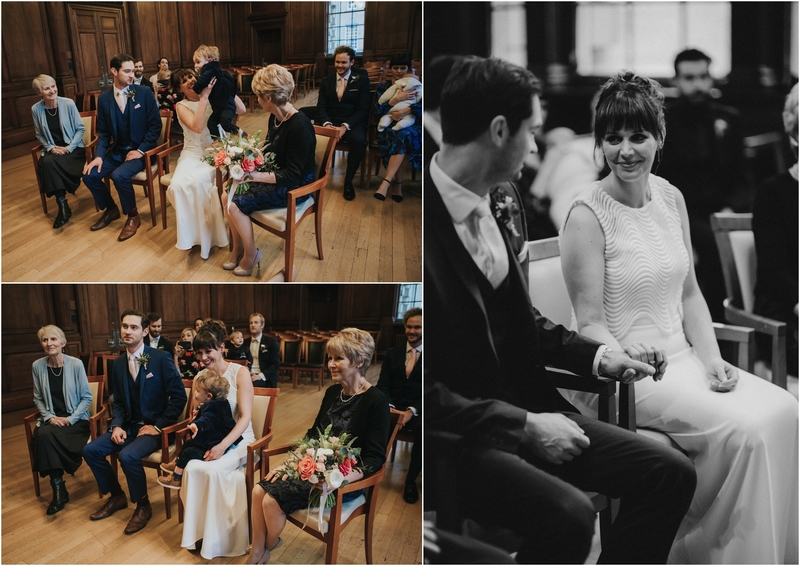 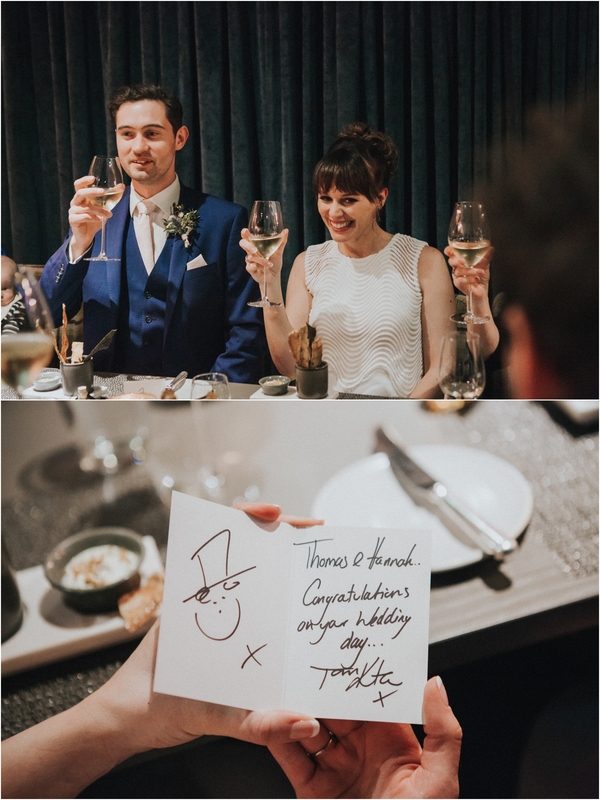 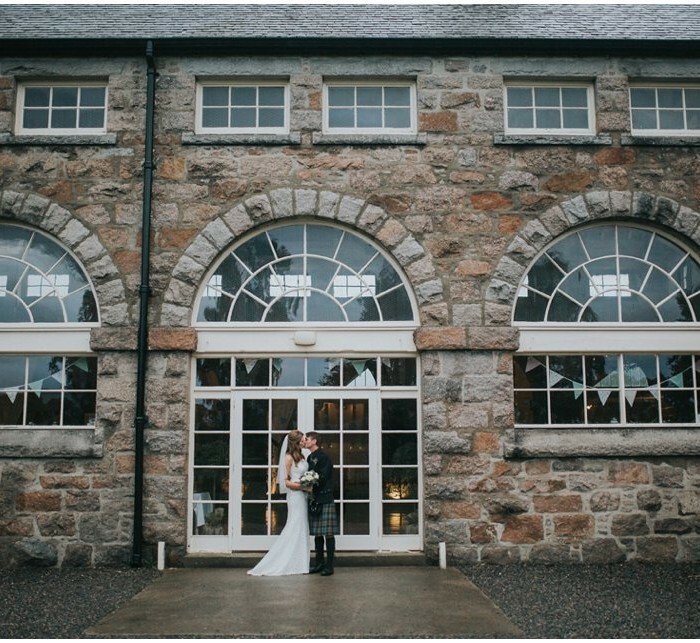 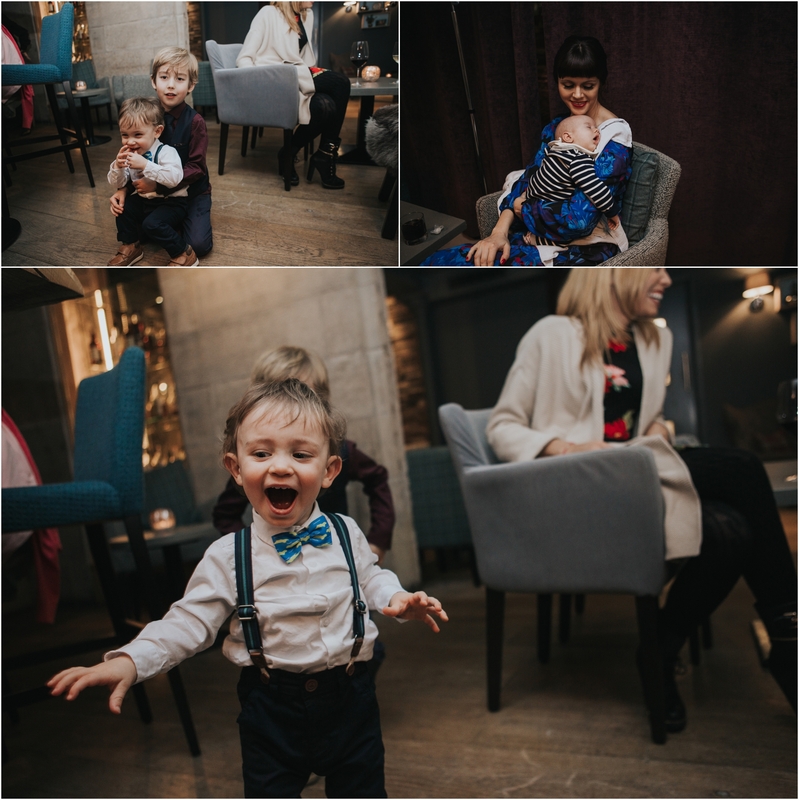 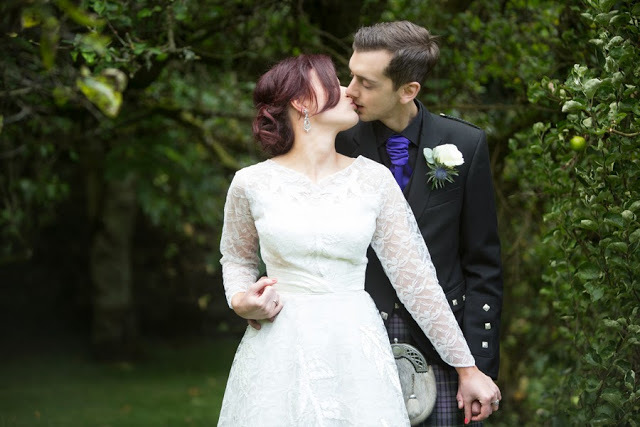 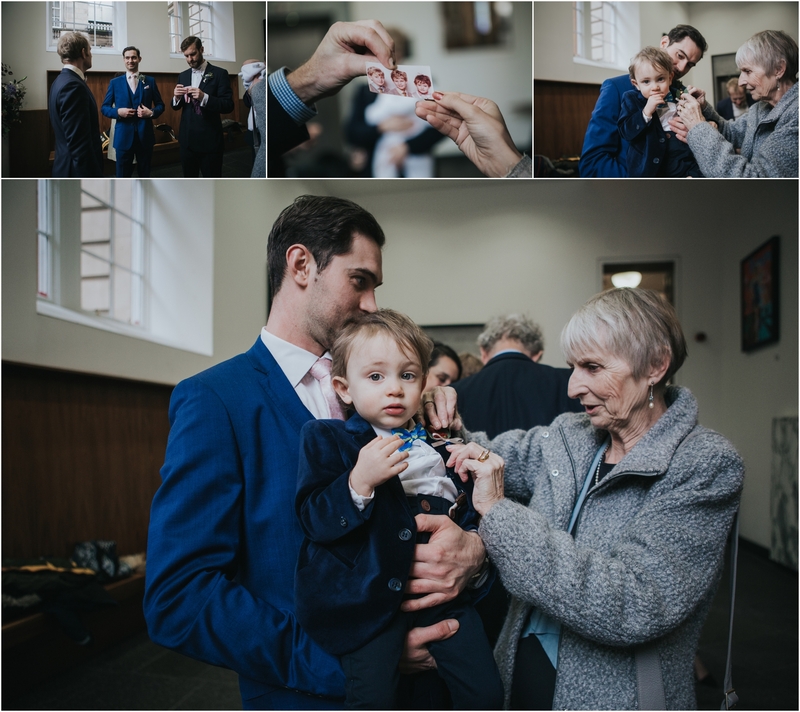 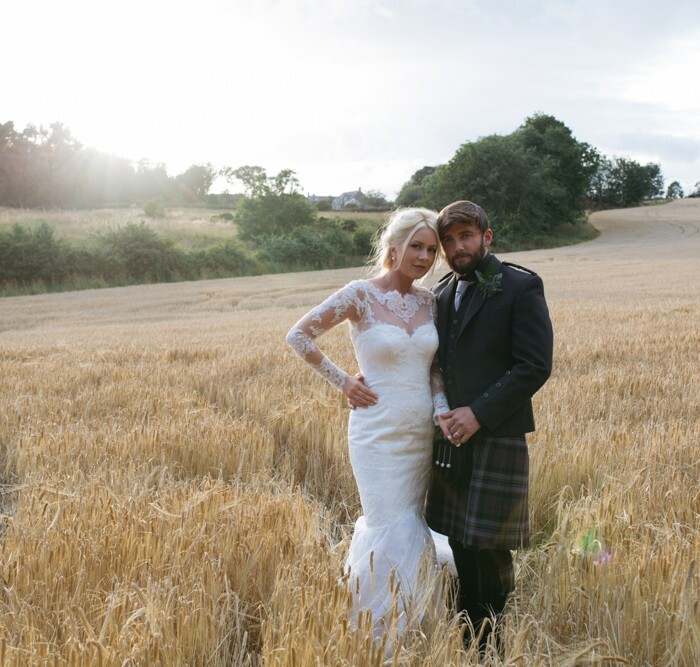 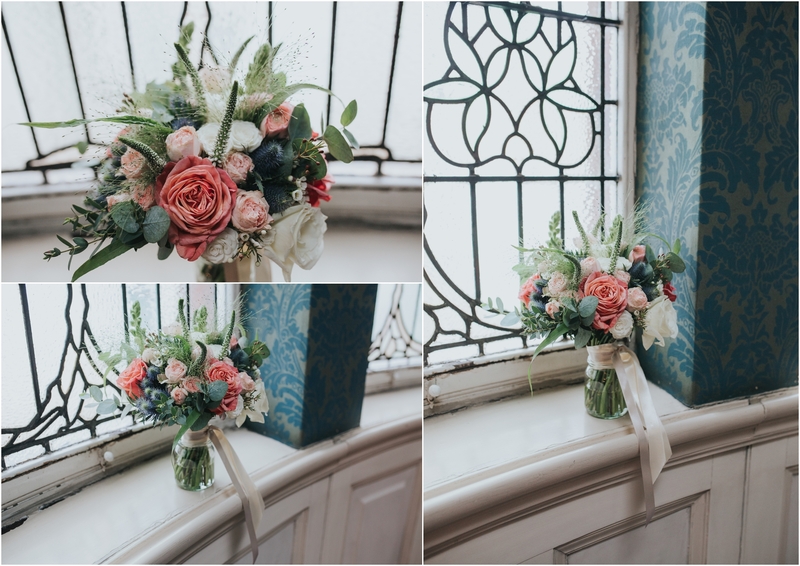 They chose Lothian Chambers for their ceremony followed a lush meal at The Kitchin for their stylish and intimate winter wedding. 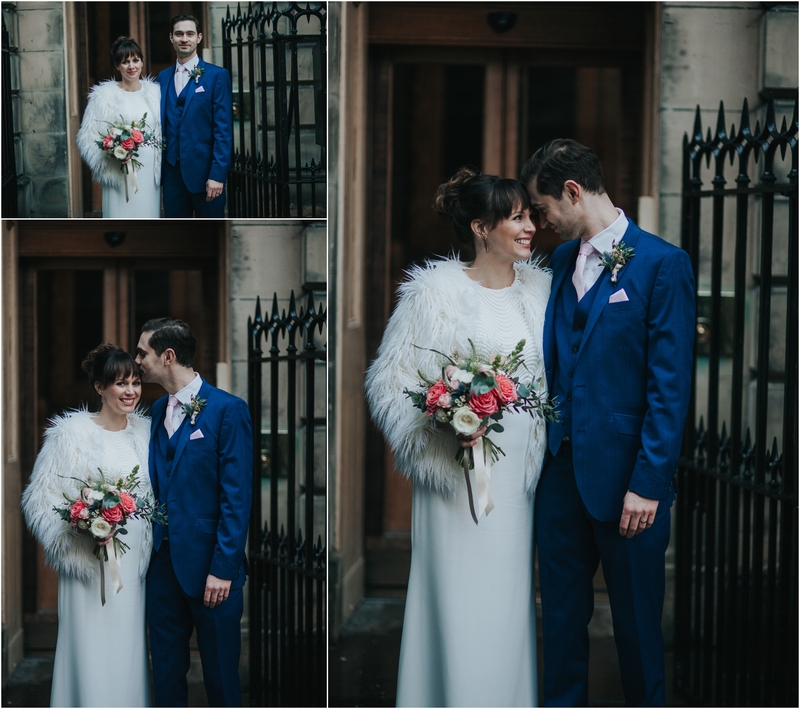 It was a typical Edinburgh day with all four seasons in one day – from sunshine, to hail stones with some evening sun as we shot their couple portraits but they didn’t let that ruin the fun and family friendly atmosphere of the day.